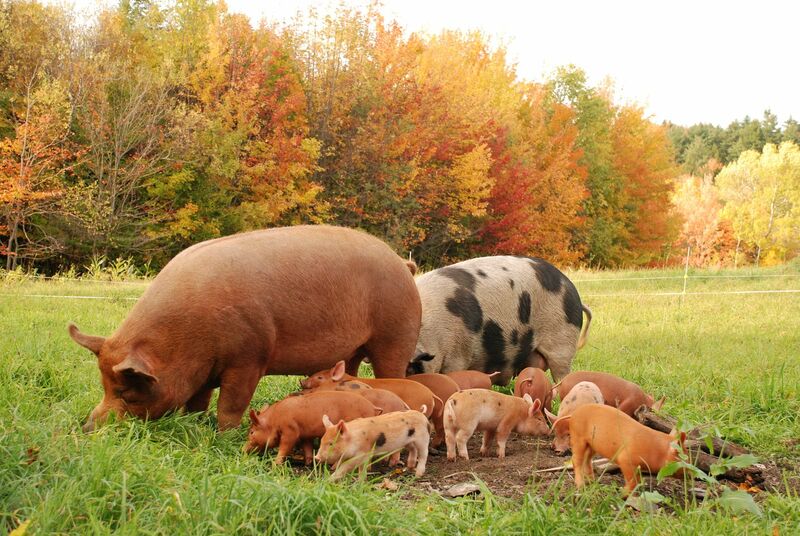 Wandering Boar Farm is a family farm located in Middlesex, Vermont. 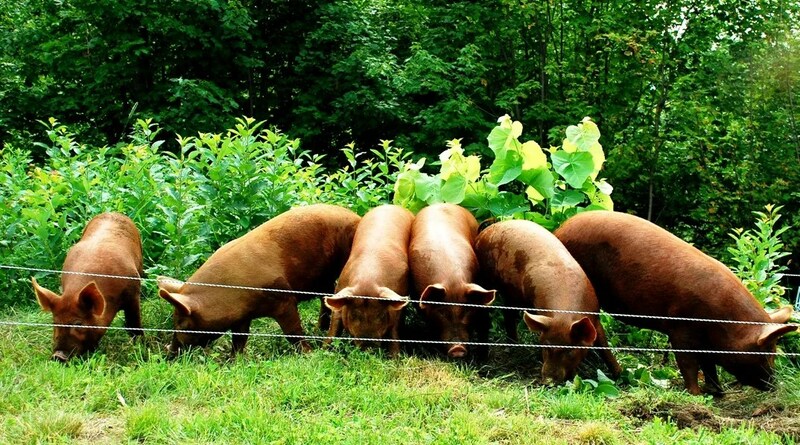 At Wandering Boar Farm, we pasture raise pigs and sheep. Our animals live, eat and sleep outdoors. We offer lamb in full shares and pork in both full and 1/2 shares. Lamb is $12 per lb. and pork is $9 per lb. based on the hanging weight of the animal. Included in a share price is: (1) transportation of your animal to-and-from the processor; and (2) your meat is cut, smoked (as needed) and vacuum packed. We provide approximately 7-10 days notice prior to delivery date. To purchase a share, or 1/2 share, of one of our animals, please call (802.234.1964) for specific information regarding deposits, pick-up dates and the approximate expected weight of your animal. We do not use antibiotics, growth hormones and our fields are free of chemical fertilizers or pesticides (and have been for generations). 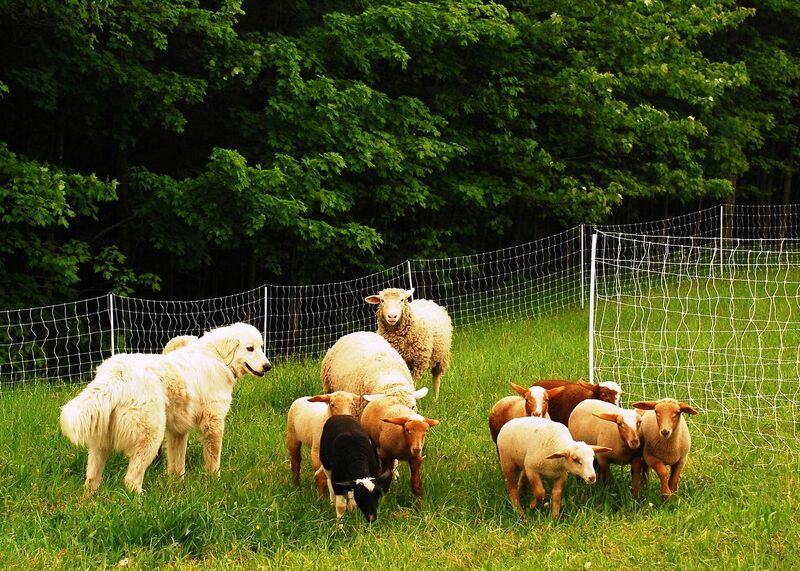 Livestock guardian dog,”Rollie,” a Maremma, keeps a watchful eye on our lambs.